After sending shockwaves across contemporary culture and setting a new standard for provocative, socially conscious horror films with his directorial debut, Get Out, Academy Award-winning visionary Jordan Peele returns with Us, another original nightmare that he has written, directed and produced. 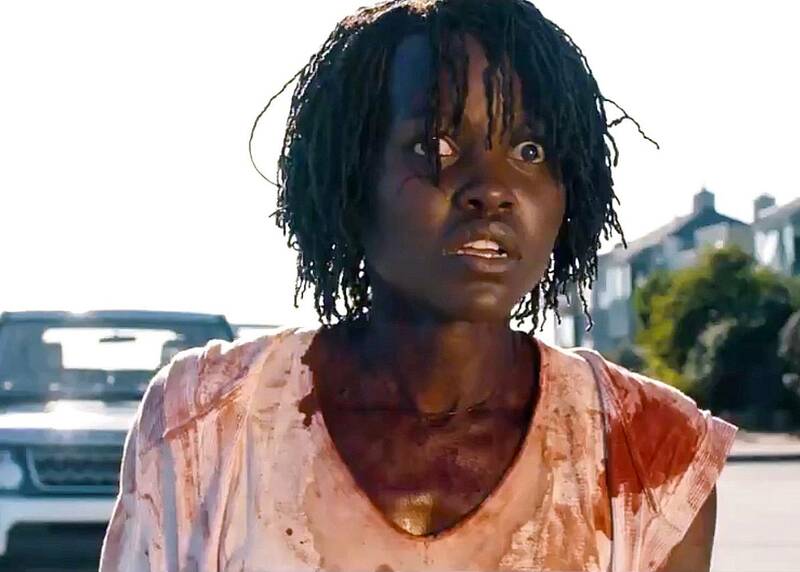 Before he had even finished making Get Out, his Oscar-winning 2017 blockbuster that delved deep into issues of race and privilege in America, writer/director/producer Peele was already developing the idea for a new film that promised to be even more terrifying, and just as psychologically incisive, as the one he was making at the time . Doppelgängers, or mysterious doubles of living people, are almost as old as storytelling itself. They appear in almost all folklore and mythology, reportedly reaching as far back as ancient Egypt in the form of “ka,” a physical manifestation of a spiritual double that shares the memories, experiences and feelings of its living counterpart. That inclination to project our own fears, anxieties and anger outward is also an endemic part of American culture. While Get Out confronted unspoken truths about race in America, Us takes on America, and the American dream, itself. The film centers on an American family, the Wilsons, who come under attack by doppelgängers of themselves, referred to in the film as The Tethered. And while Us is not overtly about race, it does subvert historical tropes of the horror genre and its typical depiction of black people. That, Cooper says, is one of the many things in the film that will defy audience expectations. Peele anchors the story around Adelaide Wilson ( Lupita Nyong’o) who, as a child in 1986, wanders off from her parents during a family outing to the Santa Cruz Boardwalk and finds herself in a dark funhouse hall of mirrors called Vision Quest. While alone, young Adelaide (Madison Curry) discovers, to her horror (and ours) that what seems at first to be her reflection is in fact a hostile doppelgänger of herself. She escapes, but she has no words to explain what she has seen, and no one, certainly, would understand or believe her if she did. Over the years, Adelaide tries to bury the memory, but when, as an adult, she returns to Santa Cruz with her own family, it becomes clear that her past will not let her go. Peele’s script inspired and intrigued his filmmaking team, and the ideas behind it proved to be even more expansive than those in his first film. Us also provided Peele and his team with a broader cinematic canvas than they’d had for Get Out, which was set primarily in one location. What’s most remarkable, however, is that the film manages to be intellectually invigorating while still being a thrilling, terrifying cinematic experience. Most traditional horror films are heavy on gore and short on laughs, but Peele, who initially built his career in comedy, sees an organic connection between the two genres. That mix of humor and horror is an essential part of Peele’s filmmaking magic. Peele also cites Roman Polanski’s Rosemary’s Baby, A Nightmare on Elm Street and the Japanese film Suicide Club as some of his favorites, but it’s Ridley Scott’s Alien that holds a special place in his heart. “Alien was the most ingeniously designed film I’d ever seen,” Peele says. “Not only does it still hold up today, but the ground that it broke in creating an elegant, singular monster, a new type of environment, was just…it’s just movie magic.” Now, he has created an elegant, singular monster of his own.